In a trio of lawsuits filed in a Texas court on Friday, non-practicing entity Uniloc claims Apple infringes on three patents with technology relating to AirPlay, autodialing phone numbers from Contacts and operating portable device batteries. Lodged in the patent holder friendly Eastern Texas District Court, Uniloc's new legal barrage alleges infringement of three patents reassigned from Hewlett-Packard and 3Com. In its first suit, Uniloc leverages U.S. Patent No. 6,661,203 for "Battery charging and discharging system optimized for high temperature environments," an invention from HP that was first filed for in 2001. The IP details a method by which a temperature sensor is used to monitor battery heat during charge and discharge events. Current is subsequently limited to prevent overheating and extend the life of the battery. Uniloc asserts Apple's iPhone, iPad, iPod, Apple Watch and MacBook lineups all use temperature sensors to moderate battery charge and draw, and are thus in infringement of the '203 patent. A second case targets Apple's AirPlay technology with U.S. Patent No. 6,580,422, which covers techniques for "Remote computer display using graphics primitives sent over a wireless link." Filed for in 1995 by HP, the IP details methods of sending graphics commands to a remote computer display using wireless signals. Debuted as AirTunes in 2004, Apple's wireless content transfer protocol was later adapted to handle still images and video in 2010 as AirPlay. 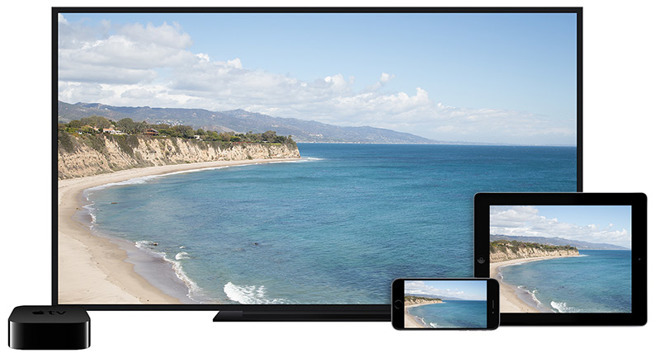 The proprietary technology is used across Apple's device lineup, but the company has recently pushed AirPlay as a mobile-to-big screen solution with Apple TV. The third case deals with U.S. Patent No.7,092,671 for a "Method and system for wirelessly autodialing a telephone number froma record stored on a personal information device." Filed for in 2000 by defunct electronics and networking hardware firm 3Com, which was acquired by HP in 2010, the patent details methods of recalling and automatically dialing a phone number from a contacts list. Uniloc targets Apple's Contacts app with the '671 patent. The lawsuits filed today collectively represent Uniloc's third attempt at suing Apple over what some consider to be fundamental technology. Last month, the non-practicing entity lodged a lawsuit in the same Texas court claiming Apple infringed on three patents with services like Maps, Apple ID and remote software updates. In June of 2016, Uniloc filed a complaint alleging Apple's Messages product encroaches on four patents related to instant voice messaging systems facilitated through VoIP protocols. Uniloc is perhaps one of the most well known active patent trolls in the U.S. and has consistently set its sights on high-profile tech firms for more than a decade. Past lawsuits targeted Activision Blizzard, Aspyr, Electronic Arts, McAfee, Microsoft, Rackspace, Sega, Sony, Symantec and more. In its latest volley of lawsuits against Apple filed today, Uniloc seeks unspecified damages, reimbursement of legal fees and other relief deemed fit by the court.